We North Americans are spoiled with nuthatches. White-breasted and Red-breasted Nuthatches can be found across almost the entire continent, Brown-headed Nuthatches are common in the southeastern United States and Pygmy Nuthatches liven up outings in the mountain west. Pity the poor European birders. Already stuck with virtually colorless warblers they also suffer from a paucity of nuthatches. Sure, their field guide, The Collins Guide, claims six species but two, the Corsican Nuthatch and the Algerian Nuthatch, have extremely limited ranges and one of those two isn’t actually found in Europe. Two others, the Eastern Rock Nuthatch and the Western Rock Nuthatch are clearly distinct species but are so similar that they may as well be the same species. That leaves only two species with a decent range and a distinct look. 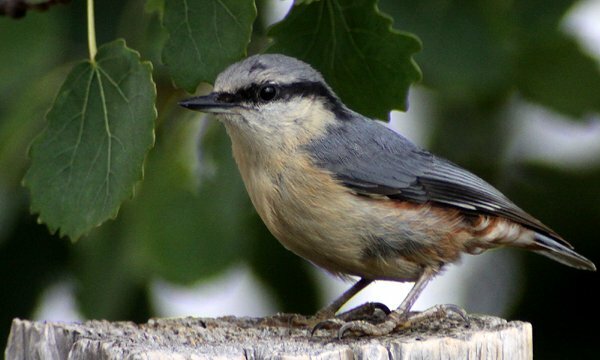 One of the two, Krüper’s Nuthatch, is only found in Turkey, Russia, Georgia, and on Lesbos. It does, however, get style points for being named after a naturalist whose other claim to fame is having a genus of millipedes named after him. 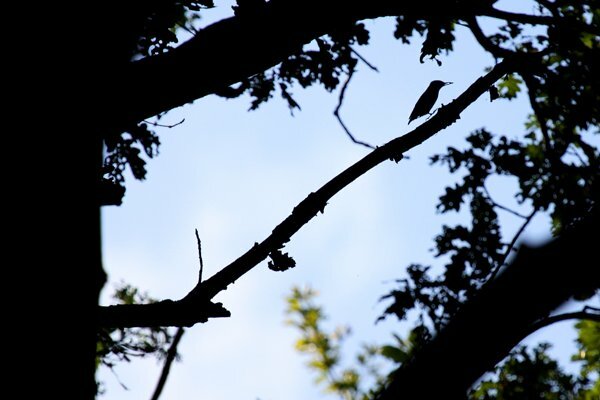 The other species, Sitta europaea, is the subject of this blog post. The Nuthatch, which only visiting birders refer to as an Eurasian Nuthatch, is found throughout temperate Europe and Asia from Portugal to Japan. 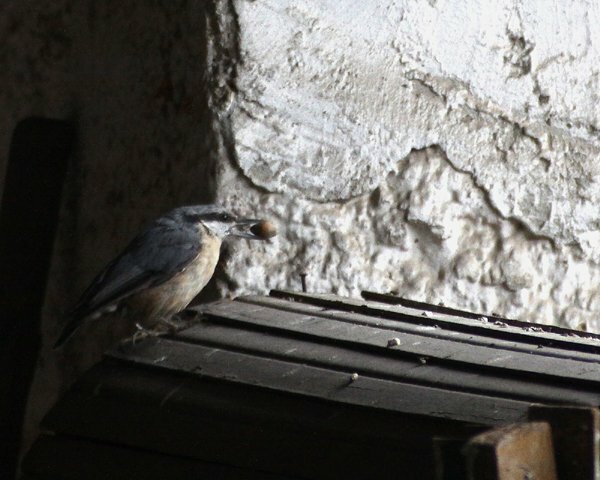 The name birders who live in its range use should give some indication to just how ubiquitous it is as well as just how uncommon it is for Europeans to come across another species of nuthatch. 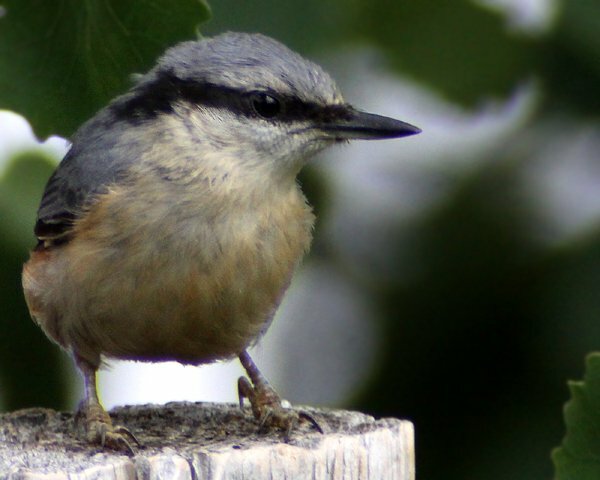 After all, if you were likely to come across more than one nuthatch species you would likely come up with a more distinctive name than “Nuthatch.” Population estimates for Sitta europaea, which are very rough because they are extrapolated from estimates of the European population, range from just under 46 million to nearly a quarter of a billion. That’s a lot of one kind of nuthatch. I am fortunate in that I have encountered Eurasian Nuthatches on eleven occasions in three countries on my various trips to Europe. And while I can still remember the first time I saw one in 2007, in the company of Jochen and Hendrik in a pine forest on the coast of the Baltic Sea, it took until this year’s trip to Hungary before I managed to get a decent image of one. Most of the photos in this post are of a single bird in an orchard that was very cooperative when we were hoping to find Syrian Woodpeckers. The woodpeckers never showed but I did enjoy photographing the nuthatch. Nuthatches are all very similar. Their strong beaks and big heads coupled with their short tails and their habit of using their amazingly strong feet to grip whatever surface they are on to walk vertically, even upside-down, make them easily distinguishable from any other bird. Still, it is nice to see more than one type of nuthatch and I imagine that Europeans are wildly jealous of North America’s four (Soon to be seven?) species. 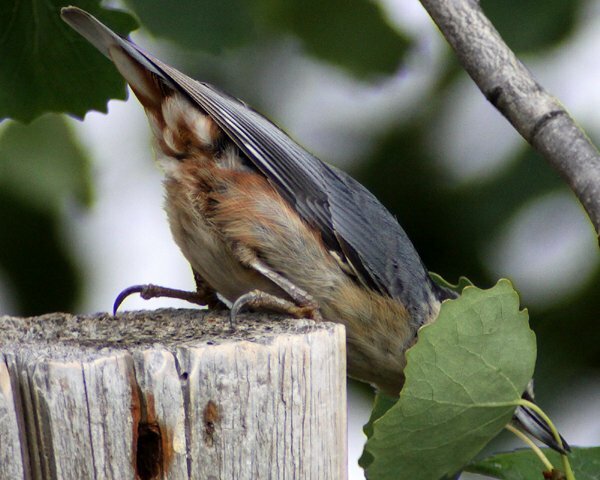 And, hey, did you ever wonder why they are called nuthatches? It’s because they like to crack open or “hatch” nuts for food. My week-long trip to Hungary was a familiarity trip organized by the wonderful folks at Swarovski Optik to introduce their new line of superior spotting scopes, the ATX and the STX modular telescopes, which were used to digiscope all of the images in this post except for the first one. We visited Hortobágy National Park, the Bükk Hills and places in between. Many thanks to Swarovski Optik for inviting me along and letting me experience both some awesome new optics and the natural wonders of the wonderful country of Hungary. Yes, that was a good morning on Usedom! I remember it well. Cheers, Corey!! I think the premise of this article is flawed. Europeans have exactly the same number of nuthatches as Americans, but they aren’t ubiquitous trash birds so poor poor them. Also this one left me scratching ” Krüper’s Nuthatch, is only found in Turkey, Russia, Georgia, and on Lesbos.” – which was preceded by “Brown-headed Nuthatches are common in the southeastern United States”. So regional species are bad for Europe but not America? I think that’s crazy, as is the notion that having some mega rarities in the family makes them represent a lamentable paucity. Ultimately, the deciding factor in favour of Europe is the seventh potential member of the family, the Wallcreeper. Often lumped with them, it is the ace that wins the hand for the small area of Eurasia that arbitrarily is called Europe. Cause you really don’t want to get into a fight between America and Eurasia when it comes to nuthatches I suspect. Northern Thailand would beat both regions with 5 species of Nuthatch. If you think Europeans are badly off, spare a thought for Australians. We don’t have one at all, although our Varied Sittella (Daphoenositta chrysoptera) shares some of their abilities like being able to walk down a tree trunk headfirst. Yay, nuthatch! One of my favourite garden birds to see. Used to be a real nice break from all the squabbling sparrows and overfed pigeons and doves that used to invade my old garden. You’ve really captured the cute factor they have going.